On or about May 22, 1718, Blackbeard showed the world that he meant business, disrupting trade for a major colonial port and striking fear into the leadership of the colonies. Having spent the months since the capture of La Concorde cruising the Caribbean with his prize and amassing an extensive fleet and crew, Blackbeard began to travel up the coast of the American colonies. 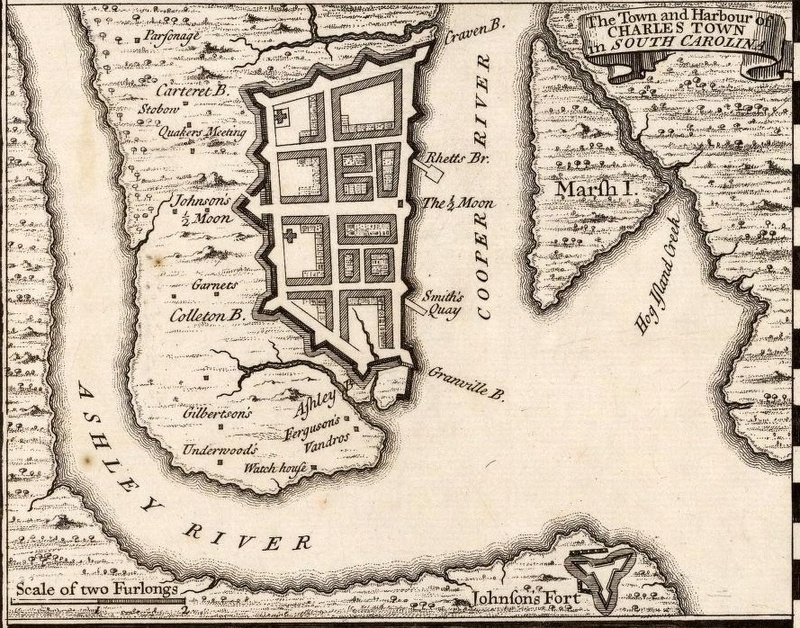 Perhaps because he needed medicine for an ailing crew, or perhaps just to prove he could, Blackbeard directed his fleet to stop in at the major port of Charles Towne (present-day Charleston, SC). They immediately took two outbound and two inbound ships from England, holding the crews for ransom. Richards, whom Blackbeard placed as master of Bonnet’s Revenge, and another pirate took a passenger from one of the captured ships to deliver a message to the governor. Either he delivered to the pirates a chest of medicine, or they would kill all their captives, burn the ships, and sack the town. As the town was in no condition to defend itself, the governor sent the demanded medicine and Blackbeard’s crew set the prisoners free, but not before they took any valuables and clothing from them, gathered up any useful supplies, and “distroy’d most of their cargoes etc. all for pure mischief sake” (Calendar of State Papers 660). This event represented not only a disruption in daily life of the people of Charles Towne, but the greater threat that pirates posed to trade, economics, and even government. If a pirate crew of 300 could cause such chaos for one town, what else could they accomplish? -“Aug. 19. Whitehall. 660. Extracts of several letters from Carolina” in Calendar of State Papers Colonial, America and West Indies: Volume 30, 1717-1718, London: His Majestey’s Stationary Office, 1930. -“South Carolina, June 6 1718” as appears in Boston Newsletter (Jul. 7, 1718, p.2). -South Carolina Court of the Vice-Admiralty. The Trials of Major Stede Bonnet and Other Pirates. London: Benjamin Cowse, 1719.